Thai retail giant Central Group aims to raise the share of its e-commerce sales to 15 percent (%) over five years, up from the present 1%. Presenting the company’s annual business plan, CEO Tos Chirathivat says the group will aggressively pursue expansion in the digital realm this year. About 10 % of the 45.53 billion baht (US$1.3 billion) capital investment allocation this year will be devoted to online business. The funds will mainly go toward developing a logistics network and an omni-channel platform, with capital spending on that front to double from next year. Central Group’s retail portal, Central Online, will be overhauled this year. The conglomerate acquired the Thai business of fashion e-tailer Zalora last year, and will adapt its know-how for Central Online’s makeover. The group is also eyeing markets outside of Thailand, including an online re-entry into China, from where it retreated two years ago. Central Group president Yol Phokasub says it aims to collaborate with a partner this time. Vietnam is another promising market. The group has two department stores there and is also a stakeholder in electronics retailer Nguyen Kim. Meanwhile, Central says its group sales last year increased 17% 332.7 billion baht. 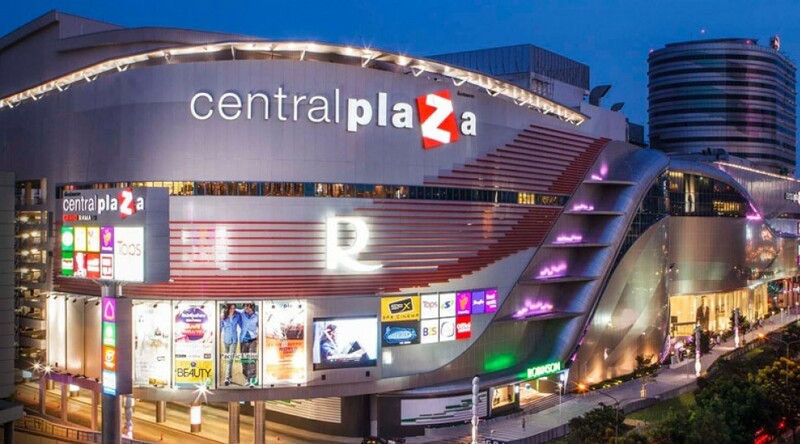 The refurbishment of key assets such as Bangkok’s Central Plaza Pinklao helped boost sales, along with Zalora and the acquisition of Vietnamese supermarket chain Big C.
Central aims to reap sales of 382.2 billion baht this year, with a heavy reliance on overseas business, which accounts for 30% of sales, as well as developed online business.